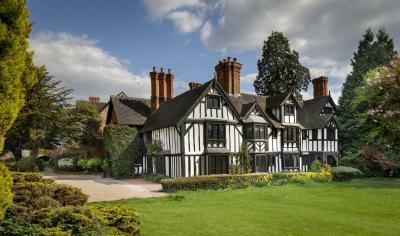 Lock in a great price for Nailcote Hall – rated 8.1 by recent guests! Outwardly, the property looked fantastic. Restaurant staff were polite and accommodating. Quiet location with helpful and cheerful staff. There’s a pool and the rooms are well equipped. 2 hair dryers! Amazing buliding set in a exceptional landscape. Bed was the best i have slept in. 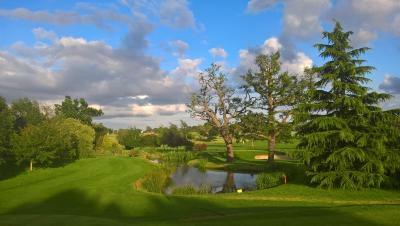 The location was very nice, attached to the Golf course. Our room was not in the main building, but attached to the extension at the side of the main building. There was a 'party' on the night we arrived, although not to noisy. 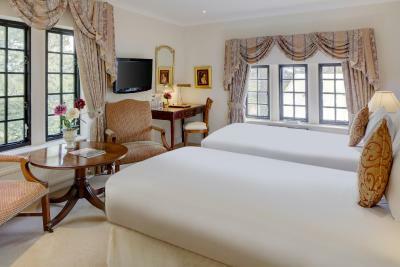 The rooms are light and airy, with comfortable beds. The swimming pool downstairs in the basement could really do with being updated, the sauna was not in operation, the area was clean but feeling dated. Breakfasts were nice and fresh, plenty of choices and served by a member of staff. 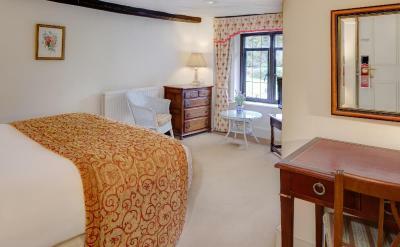 The room was very comfortable and the staff were very good at making us welcome. 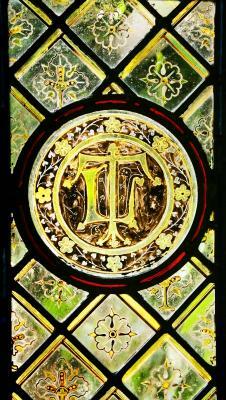 The breakfast was excellent and the young girl who looked after my wife and me was very good and attentive. The coffee in the restaurant was excellent not like the second rate stuff served in the bar. The manager was extremely helpful in helping to resolve the issues we had and was very professional. The staff were lovely - the location beautiful. Food superb. 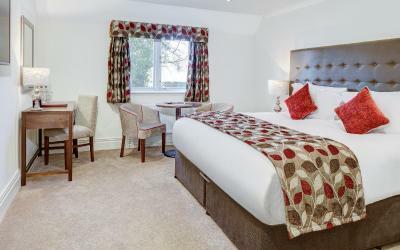 Everything, the beds were so comfy, the food was excellent and the staff were so friendly. Nailcote Hall This rating is a reflection of how the property compares to the industry standard when it comes to price, facilities and services available. It's based on a self-evaluation by the property. Use this rating to help choose your stay! 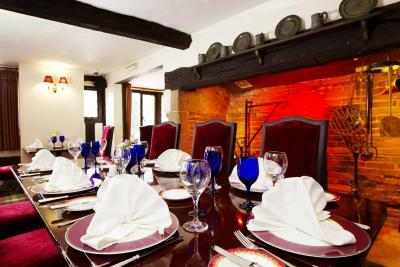 Set in a beautiful timber-framed house, in 15 acres of Warwickshire countryside, Nailcote Hall has an award-winning restaurant and leisure center. 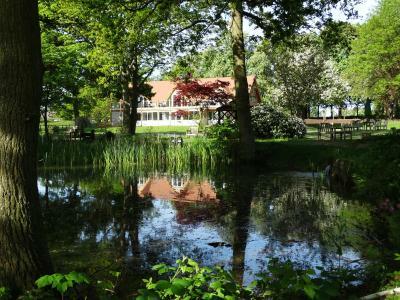 Just 15 minutes from Coventry, the hotel has free parking. 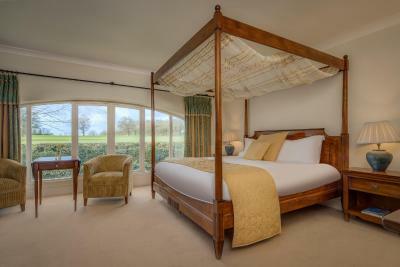 Voted among the most romantic hotels in the UK, bedrooms at Nailcote have private bathrooms, tea and coffee facilities and a flat-screen satellite TV. 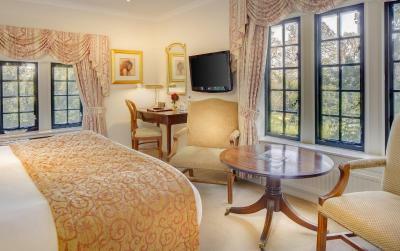 Many rooms have scenic garden views. 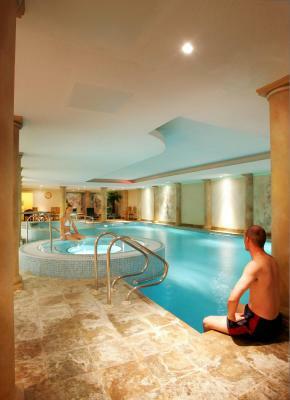 The Nailcote Hotel leisure center features a Roman-style swimming pool, hot tub and steam room. 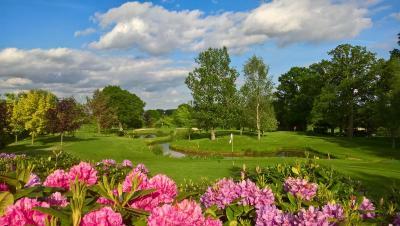 There is also a championship golf course and a modern fitness suite. 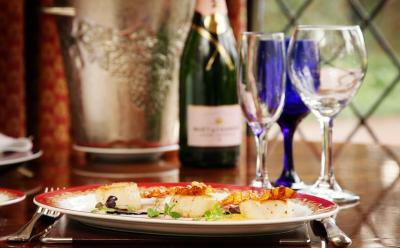 Within the 17th-century building, the AA-Rosette Oak Room serves traditional British cuisine and fine wines. 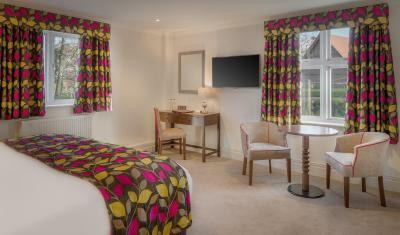 There is also a stylish lounge bar, and full English breakfasts are available daily. Just 20 minutes’ drive from Birmingham International Airport and the NEC, Nailcote Hall Hotel is also 20 minutes from historical Warwick Castle. The M42 and M6 motorways are a 10-minute drive away. 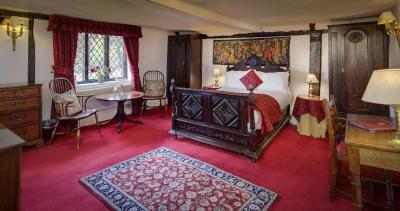 When would you like to stay at Nailcote Hall? Features include a flat-screen satellite TV and an private bathroom. House Rules Nailcote Hall takes special requests – add in the next step! 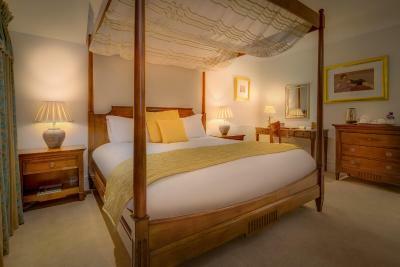 All children from 2 to 16 year are charged GBP 10 per person per night for extra beds. Nailcote Hall accepts these cards and reserves the right to temporarily hold an amount prior to arrival. Please be advised that there are often functions taking place at this hotel. The hotel is tired. (There's a difference between old and characterful and 'tired'). Bar a bit depressing with seats lined around the edge.. with all the potential of the building it wouldn't be difficult to create a warm and welcoming lounge area. We'd specifically asked for a quiet room and assured it was. However, the TV and bathroom in neighbouring rooms early next morning was truly invasive. And this was in the new building which, worryingly, has an open plan event space in the centre of the corridors serving the rooms. Thankfully it wasn't being used while we were there. Dinner was crazily overpriced: starters okay, the steak was 'off' as they hadn't had a delivery and we were told that dinner might take a bit longer because we'd ordered the grilled Dover sole and the lamb... the Dover sole being the one that needed 'longer to cook'! That should have rung alarm bells as it was flabby and tasteless and presumably frozen. At £32 for a fish it should be perfect. Breakfast - a full English - arrived very quickly with strange scrambled eggs that hadn't really been mixed... to our slightly mucky table where we'd sat the night before for dinner, with the rest of the breakfast elements clearly having come out of a warming pan. Toast didn't happen. Forgetting our bar bill, to stay and dinner was well over £200: there's plenty better places to stay for that money. We tried it: we wouldn't go back. Lovely old building, nice setting. Staff pleasant. more Still water in the rooms. Excellent friendly staff, great service, beautiful location. Really near the NEC! Sadly I missed breakfast as I ran out of time as I had to get to Crufts and wasn't sure how long it would take me to get there, BUT have to say the staff, especially Corinne were excellent !¬ really really helpful , you shoukd be very proud of them ..I hope I can stay again next year ! My only nit pick was the cost of drinks, ,ie bottle of wine, nothing decent under £20.00 .....I know it's a 5 star hotel but very very pricey !!! Bottom of bath was a little dirty. For price I think breakfast also could have been a little fresher, made to order? And perhaps a little bit more choice. Bed was super comfy. Staff very friendly. And one turned out to be a very distant relative! Pool lovely. Jacuzzi very relaxing. Nothing, but would have liked another night or two to experience the hotel facilities more! Stayed here for only 1 night when attending a wedding. We didn't spend much time at the hotel but everyone was very welcoming and helpful, bed was super comfy and the full English was just what was needed the morning after!